This comment was posted to reddit on Nov 03, 2015 at 1:25 am and was deleted within 14 hour(s) and 2 minutes. **Om Parvat can be seen en route to the Kailash Manasarovar Yatra from the last camp below Lipu Lekh pass at Nabhidhang. Many trekkers to Adi Kailash often make a diversion to view Om Parvat. 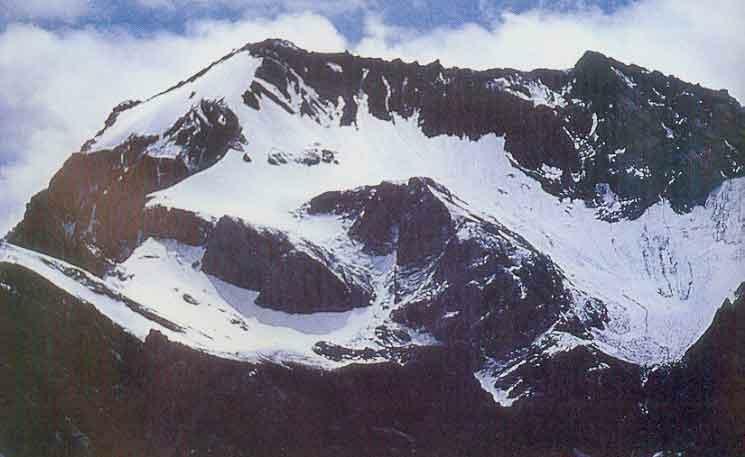 Om Parvat is located near Nabhi Dhang, on the border between India and Nepal. The Mantra OM or AUM is 11000 years old—and was told by the sages that it was the original sound when the Cosmos was created. OM is the first and foremost of all mantras. Mantra is the sound body of consciousness. What you see on the mountain ain't no illusion. The semicircle of Maya is missing - only Turiya the fourth state of blissful consciousness can be seen. OM is considered as the sound of Cosmic Energy and contains all the sounds in itself. The spiritual efficacy of Om is heard, not by the ears but by the heart. The human ear can discern only a very narrow band between 20 Hz to 20000 Hz. The rest in inaudible. This is why NO cosmic sound can be heard by the human ear. These cosmic sounds were heard by rishis in their spiritual trances which broadened their sense spectrums. OM opens up quantum tunneling, where the wormholes do not have a restriction of speed of light. Every Mudra has to be preceded by OM. If you make the sound "Om" in front of a drop of liquid, it will transform itself into a Sri Yantra by cymatics which is very specific visual form which is symmetrical and also holographic, in that every bit of it contains all of it. Sri Yantra construct is from the Golden ratio of 1.618. This divine geometry contains the elusive Theory of Everything. The mysterious number 786 is sacred in Koran. Nobody has been able to explain what it is, though it is printed on all Arabic Korans. Write OM in Sanskrit and keep it facing a mirror and you can see the number 786 in Devanagari script.